A+ GPB Enterprises Inc CA-AP107 (Cases) [Page: 1 of 2] - TACKtech Corp.
A+ GPB Enterprises Inc is not a commonly used name. We obtained one of their cases to review to see if their name should be heard more often. Cases have evolved a lot over time. There used to only be beige plain cases now there are many different variations in cases ranging from the original beige color to metallic green, windowed cases, different sizes, and more. In this review today, I will review the CA-AP107 from A+ GPB Enterprises Inc. The AC-AP107 is a medium sized ATX case with a 400-Watt power supply unit, side window, colored LED fan, and more. Upon opening the box, I noticed that the entire front part of the case was broken. 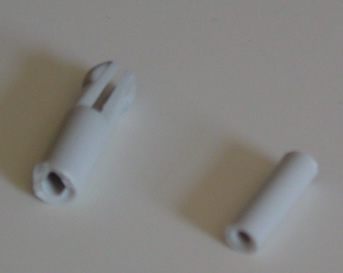 The plastic pieces that had joined the front of the case to the actual case part were cracked (I do not know if upon shipment of the box it was cracked or if it was back at the A+ GPB Enterprises Inc). After that, I thoroughly examined the rest of the case to make sure nothing else had been broken and nothing else had been damaged. After examination of the plastic that had once joined the front of the case to the other part of the case I had noticed, that the plastic was cheaply made. We will begin our analysis of the CA-AP107 at the back of the case. 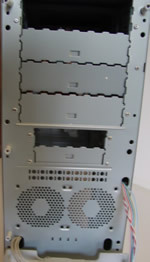 The power supply included with this case is an Eagle 400-Watt Switching Power Supply which is Intel Pentium 4 compatible. The PCI slot covers were a pain to remove, I ended up having to use needle nose pliers and bending the PCI covers several times until it just snapped. This case has no removable motherboard tray but I did not experience that much of a difficulty to insert the motherboard in the case and work around it. 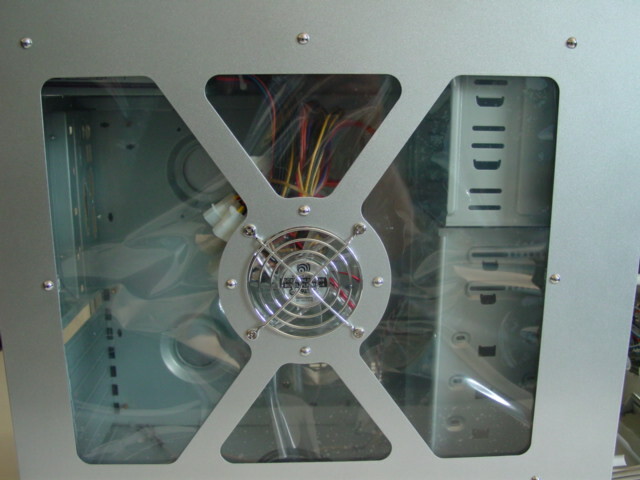 There is room for 2 fans in the front of the case near the internal 3.5-inch drive bays and room for 2 more fans in the rear of the case (all are 80mm in size). 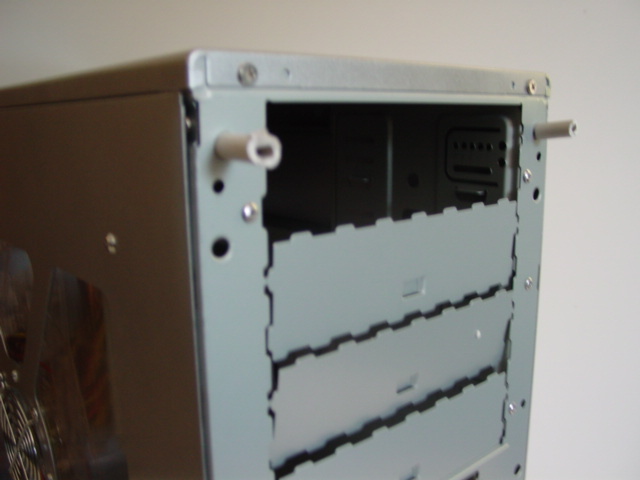 On the drive bays there are no removable cages, you just have to insert the drives and screw them in. 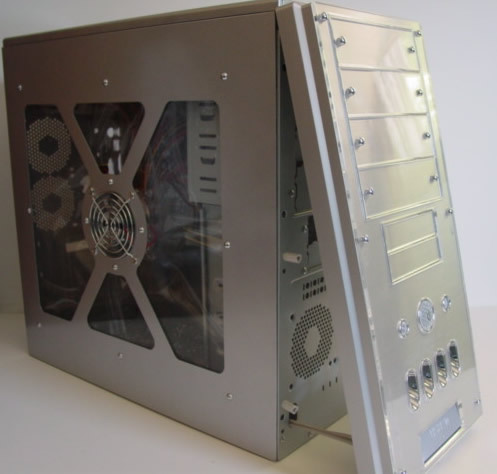 The size panel on this case is nice as it includes a side window which is made up of 4 smaller windows to form a square window with an 80mm LED fan in the center which is nice for removing some heat from your video card and processor area. On the front of the case there is a hard drive LED, power button, reset button, extra connections, and there’s 4 lights in the bottom of the case. The power button on this case is fairly large and will illuminate white while your computer is running. 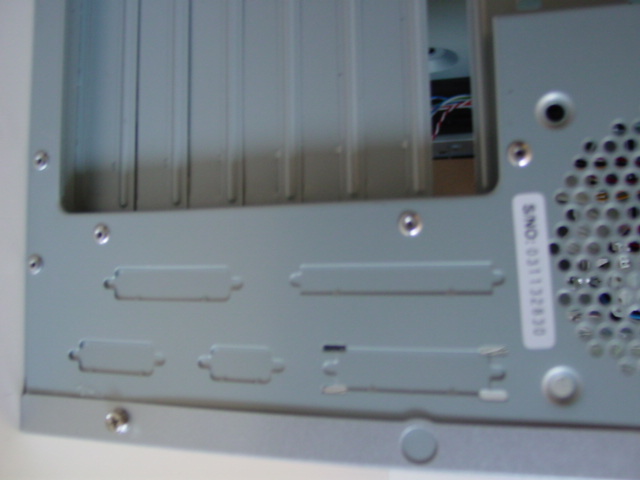 The Hard Drive LED is also large for a hard drive LED, which will light blue while the hard drives are active. After I had my computer running I had some problems getting the 4 lights at the bottom of the case to light properly. The extra connections include 2 USB 2.0 ports and 2 audio ports. Overall the case construction was fairly poor. The corners bared gaps and there are flimsy sheets of plastic on the front which caused the front part to break. 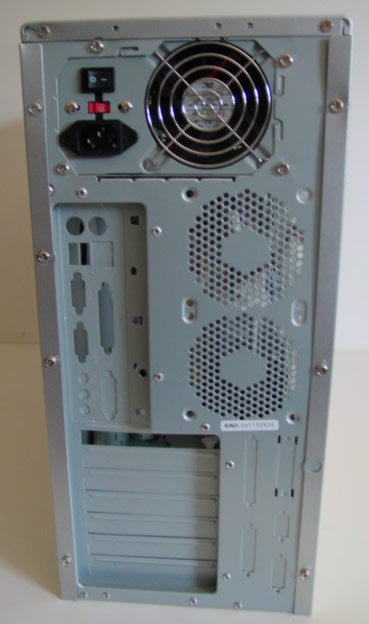 Also, this case is a metallic silver color which I personally do not prefer because it is harder to find drives that match the color since beige and black I feel do not go well with silver. It would have been nice if A+ GPB Enterprises Inc would have had placed some tool-less fan mounts on this case similar to ones found on Chieftec cases. 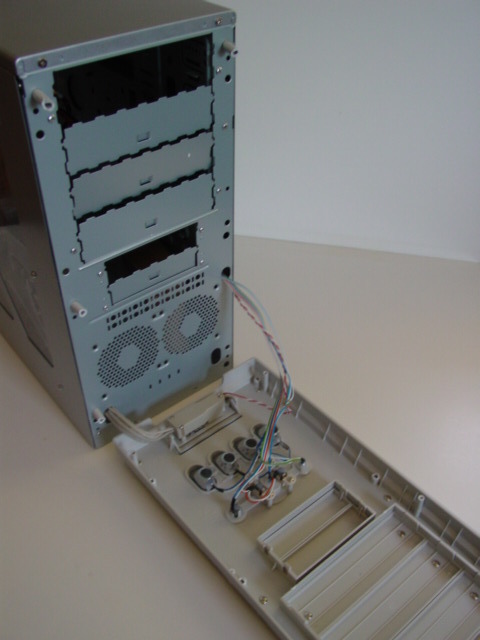 A removable drive cage would have made this case much more user friendly.